On the back of my business card is the slogan, "Clobbering Democrats. Holding Republicans Accountable." Well, it is time to hold Republicans accountable for redefining marriage in New York. "It was arguably the biggest sell-out in modern American political history. A group of "pro-family" Republican Senators who already had the power to stop "gay marriage" in New York decided to take the easy route, and simply stepped back and gave in to their opponents." According to MassResistance.org, "This wasn't inevitable. On June 15 it had easily passed the Democrat-controlled Assembly 80-63. However, the Senate had been considered a nearly impenetrable obstacle. After all, the Republicans could easily have blocked it without a vote. And the 2011 legislative session was scheduled to end in just a few days, on June 20. But we knew there was trouble when the only New York State Senator energetically opposing the bill was a Democrat from the South Bronx -- while the Republicans stood around with their hands in their pockets watching it go down." 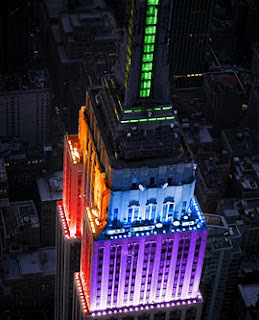 So who was the Republican who changed the definition of marriage in New York? 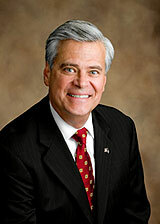 Republican Senate Majority Leader Sen. Dean Skelos who was key in helping bring "gay marriage" to New York. MassResistance reports, "On Friday, June 24, when all the other bills had been dispatched, it was clear to everyone that enough Republicans had defected and that "gay marriage" would surely pass. So when the Republicans caucused late Friday afternoon they knew what would happen if they allowed it to go to the floor. They took a vote and decided to let it go to the floor." After the vote was taken the Governor was on hand to sign it and the homosexual movement began its celebration. And, yes, it made the 11 pm news. Its passage would also be in time for NYC's annual "Gay Pride" events held that weekend. So, there you have it. Republicans saved the day. They took victory from the jaws of defeat. They redefined marriage in the formerly great state of New York. Perhaps it is time to change the slogan on the back of my business card to "Clobbering Democrats and Republicans"?